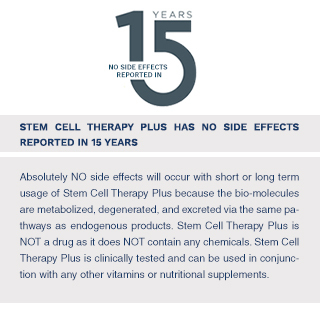 WHY STEM CELL THERAPY PLUS ? Stem Cell Therapy Plus uses the same principle as traditional stem cell therapy but with much less cost, less risk, yet similar or more effectiveness. Stem Cell Therapy Plus starts with the selection of specific organ cells from an animal fetus (unborn young) bred specifically for this purpose. Many years of experience have shown that sheep are the best donor animals because they are vital, hardy animals with the best immune systems and natural disease resistance. Sheep proteins are particularly compatible with the human body and trigger no immune reactions. In Stem Cell Therapy Plus, these vigorous young stem cells, with their vital life force still active, are ingested into a human host via high-tech softgel bio-active Stem Cell PE Capsules. Since stem cells have NO antigens, they are NOT recognized as foreign by the host body. 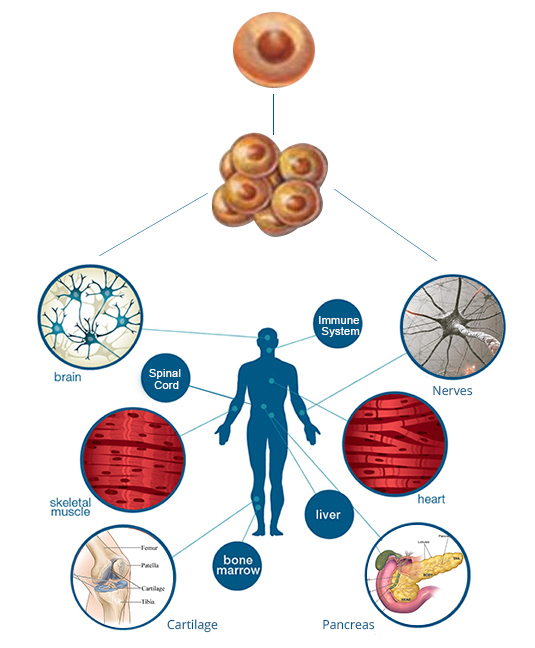 According to Dr. Niehans’ proven theory, they circulate from the site of ingestion (small intestines) until they recognize and congregate at the human counterpart of the organ from which they were taken – pancreas cells go to the pancreas, brain cells go to the brain, nerves cells go to the nerves, cartilage cells go to the cartilages, heart cells go to the heart, etc. These young stem cells, which are functionally organ specific but not species specific, imprint their vigor upon old, tired, and degenerating cells, stimulating them to function with renewed efficiency. The organ itself then retains its vigor and vitality. In addition to effectively stimulate the cells of specific organ systems, these new and energetic stem cells act quickly to revitalize the body immune system & defense mechanisms. When damage occurs to the cells that make up the various tissues and organs involved in the immune systems (either through the ageing process or from environmental poisons), the body becomes defenseless against both external invasion and internal degeneration. Damage to specific organs and immune system may be reversed through revitalization & regeneration with Stem Cell Therapy Plus. Anecdotal evidence shows that through the usage of Stem Cell Therapy Plus, improvements can be seen in the case of some degenerative diseases as aforementioned.